Last year, I remember telling any number of loved ones in other states that I’d likely see them in the upcoming months as I launched Pieces of Me: Rescuing My Kidnapped Daughters. “I’m sure I’ll have a book event somewhere near you,” I said with such conviction. Looking back, I think I must’ve temporarily lost my marbles. Had I assumed a magic carpet would arrive at my door after my book launched? Book events, especially those out of my hometown in Anchorage, Alaska, have been anything but easy to coordinate. I’d thought as a debut author published by a small press, indie bookstores would open their arms and doors wide for me. I’m indie, you’re indie sort of deal. But it hasn’t worked that way. I’ve commiserated with enough other authors in the same boat to know I’m not alone. We’ve learned that when our PR contracts end, we’re often invisible to the bookstores. For example, I called The Village Bookstore in Bellingham, my old college stomping grounds where I still have a lot of friends. Village Books has a lengthy application form for authors (as do many independent bookstores), and they charge an hourly rate for consultations with authors to discuss the possibility of having an event. Really? Like I haven’t up-fronted enough costs on this venture, I wanted to say. So I called Bellingham’s Barnes and Noble. It’s free to chat with them, and I know they’ll order the books and pay shipping for them and do some marketing, so essentially all I have to do is show up. The event planner told me to email her a follow-up request, and said since I was already in their system, having done a Barnes and Noble event before, it’d be easy. So I emailed. And emailed. And called again. Nothing. I’ve found this experience duplicated with bookstores in other cities like Fairbanks, Seattle, and Portland. So I began asking the bookstore owners what I needed to do to convince them to host a book event for me. 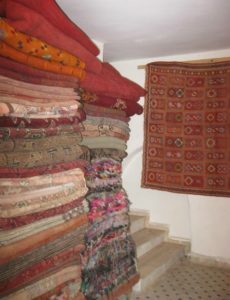 Here are 5 tips they offered, and once I employed them, the doors opened wide. 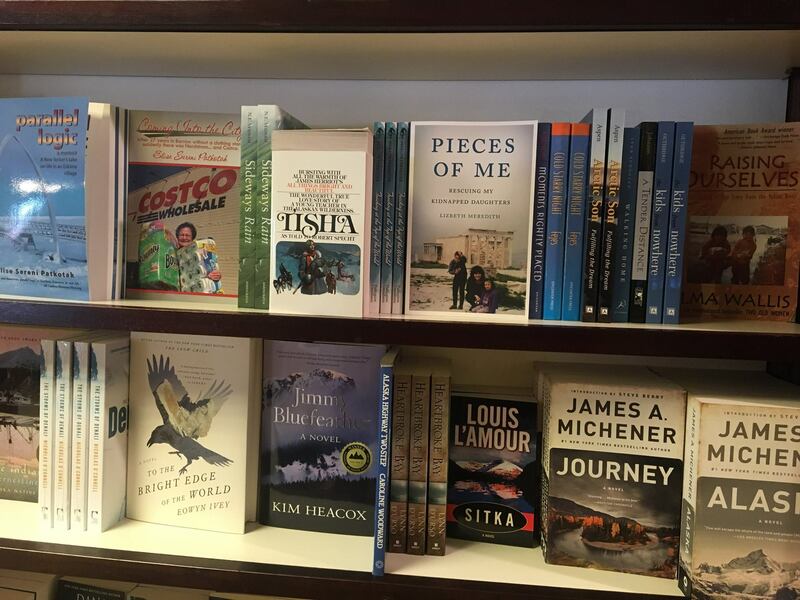 Let the bookstore owner know that you have connections like friends and family or other affiliations nearby to fill the bookstore for your event. Does your story have a connection to the town or city the bookstore is in? Emphasize this when pitching the event planner. I met an author from Washington who had Skagway, Alaska in her book’s theme. She enjoyed an extensive book tour throughout Alaska last summer because of it. Demonstrate you have reach to a wide audience via social media and your author website, and that you’ll use your reach to publicize the book event. Assure the bookstore owner you’ll not cancel your event at the last moment. One Portland owner said cancellations by out-of-town authors had happened too many times in recent history and resulted in wasting of the bookstore’s time and resources. To sweeten the pot, authors should be willing to schlep their own books to consign with the bookstore. It’s less financially risky for the bookstore when the author manages the inventory. I’ve found that coordinating events out of my home town is not a passive process. If I simply give up after one or two emails or calls, I will not get the desired results. So I’ve nagged and cajoled and made myself known to the events planners and bookstore owners. And now, Pieces of Me: Rescuing My Kidnapped Daughters will meet some other parts of the country. And for that, I am truly grateful. I’m also grateful that Pieces of Me is in its second printing, and grateful for the reader’s reviews on Amazon and Goodreads. They make a huge difference in sales. Thank you. Do you have friends in Seattle, Toledo, Portland, or Louisville that might like to attend one of my book events? Please forward them to lameredith.com/upcomingevents. 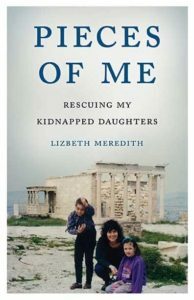 I’m thrilled to announce that Pieces of Me: Rescuing My Kidnapped Daughters was released a little early! In fact, today some of the pre-orders were filled, and I was so touched to see the Facebook posts about it. It’s equal parts exciting and terrifying. Below is a revised letter my terrific team at Sparkpoint Studio gave me. If you’re a writer, feel free to keep it on file to use it as a template for your own use later. I hope after reading Pieces of Me, readers will better understand domestic violence dynamics, glimpse the Adverse Childhood Experiences Study, and experience the incredible difference a caring community that spanned the globe made to me and my daughters. You’ve all been so supportive of me during this journey. This is my first memoir, and I am thrilled by the positive reviews and reception it has already received. Now that Pieces of Me is available in both print and eBook, I hope you will support me by buying a copy for yourself, a friend or family member, or to donate a copy to a local library. Below, I have listed the 5 easiest ways you can help me spread the word about Pieces of Me. If you’ve already done any, or all, of these, I can’t thank you enough. If you haven’t had the opportunity yet, now’s your chance to celebrate with me on this very special occasion. 1. SOCIAL MEDIA: LIKE my author page on Facebook (https://www.facebook.com/lizbethmeredithfan/), follow me on Twitter (@LizbethMeredith), and share news about the book via social media (tag me when you do, so I can thank you, and please be patient while I catch up with thank you’s!) Also, feel free to join the conversation by using the hashtag #PiecesOfMe when posting. 2. BUY THE BOOK: Please consider buying the book! The first few days it’s on sale are VERY important for a new book release. You can order it through your local bookstore, at Barnes and Noble or online, and through Amazon. Amazon sells it in the U.K. and Australia as well. 3. REVIEW: After you’ve read the book, post a review/rating of the book on Amazon. Reviews like yours will help potential readers decide whether or not to buy the book, and the more reviews, the better. If we’re friends or family and/or Facebook friends, please acknowledge that or Amazon may erase your review. Full disclosure is the best policy. 4. GOODREADS: Add Pieces of Me to your shelf on Goodreads and rate it honestly. 5. FOLLOW ME FOR INFO ON READINGS & EVENTS, OR SET AN EVENT UP YOURSELF: Join me at one of my upcoming events, and keep an eye on my website for more updates at https://lameredith.com/upcoming-events/. Or feel free to schedule your own event. From civic groups to fundraisers, book groups, faith communities, the possibilities to connect in person or via Skype are endless. Whatever you decide to you, how big or small, it helps and it means so much. Thank you for your continued support and encouragement, and please let me know how I can pay it forward.